﻿ Victoria Falls Rainbow Hotel Victoria Falls. JIMAT di Agoda.com! Ada soalan mengenai Victoria Falls Rainbow Hotel? Dibina pada , Victoria Falls Rainbow Hotel merupakan tambahan menarik di Victoria Falls dan satu pilihan bijak bagi para pelawat. Hotel ini tidak terlalu jauh dari pusat bandar: hanya sejauh 0.5 Km, dan kebiasaanya mengambil masa kira-kira 15 minit untuk sampai di lapangan terbang. Dengan lokasi yang mudah, hotel ini memberikan akses mudah ke tempat yang anda perlu lawati di bandar. Di Victoria Falls Rainbow Hotel, perkhidmatan yang cemerlang dan kemudahan yang unggul menjadikan penginapan anda tidak dapat dilupakan. Hotel ini menyediakan akses kepada pelbagai perkhidmatan yang luas, termasuklah Wi-Fi percuma semua bilik, meja depan 24 jam, Wi-Fi di tempat awam, tempat letak kereta, khidmat bilik. Alami bilik dengan kemudahan berkualiti tinggi sepanjang anda menginap di sini. Sebahagian bilik menyediakan televisyen skrin rata, bilik larangan merokok, penyaman udara, pemanas, meja untuk memudahkan tetamu berehat dan kembali bertenaga. Kolam renang terbuka, taman di hotel merupakan tempat yang ideal untuk anda relaks dan tenangkan diri selepas hari yang sibuk. Nikmati perkhidmatan yang sukar ditandingi dan lokasi benar-benar berprestij di Victoria Falls Rainbow Hotel. Breakfast and dinner very expensive, besides that we had a very pleasant stay at Rainbow Hotel. You have a great hard working staff with the best services ever and generally the hotel is great. 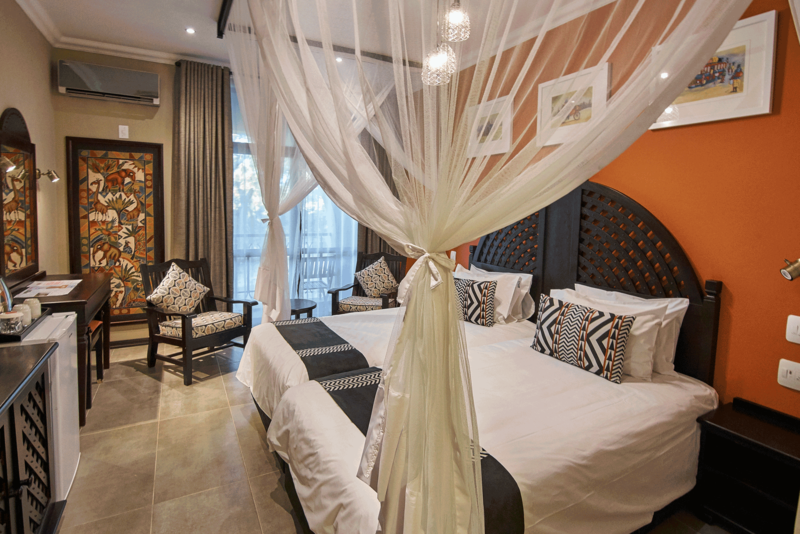 Rainbow Hotel is a place to be in Victoria Falls. It is situated close to all the attractions and town. Agoda created an unnecessary problem for me which was never resolved to my satisfaction. I booked thru Agoda and the hotel was already fully booked. I paid Agoda and the all the hotel could do is find me inferior accommodation further out of town. We stayed at this hotel for 3 nights and if I had the opportuntiy after the first night I would have transferred somewhere else. The hotel itself is in disrepair and needs a lot of maintenance done. The service was ordinary and things were not replaced in rooms when when cleaned. We stayed four nights and enjoyed every minute - Staff incredibly friendly!! Clean great location and attentive staff. The buffet breakfast was also fantastic. Lovely stay! 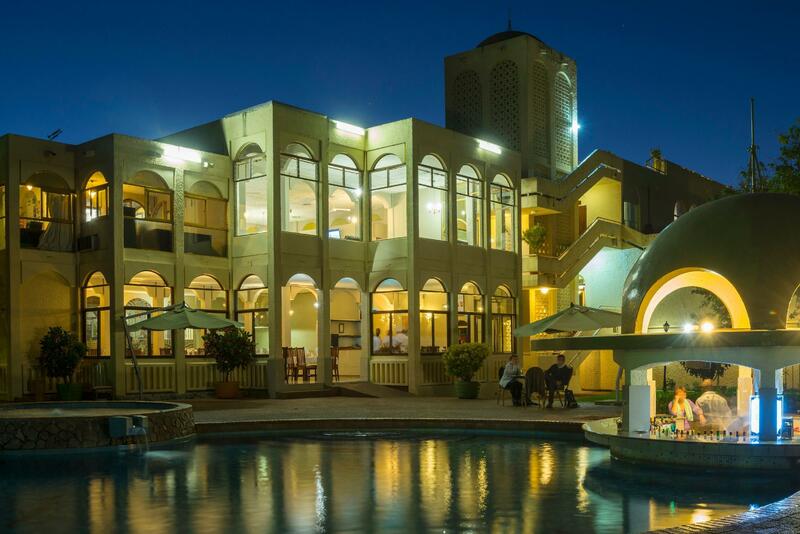 This is probably one of the best hotels in Victoria Falls. It is just in two kilometers from the waterfalls. Among the problems that I encountered is that I could not open the door to the balcony - it was stuck. The second problem was that wi-fi was not always working. I also booked the hotel it without breakfast so I can not say anything about their food. Good location but should more shuttles per day and should be a lot earlier. The minibar was nice and useful especially as there is a lack of halaal food in vic falls. Some days the traditional dancing and music went on a little late. Pleasant staff and responded promptly to requests. We stayed here in December 2016. We were very pleased with the size of our room and the quality of the furnishings. The hotel grounds are well kept and it is in a good location. The staff were always friendly and helpful. From our room we saw a family of mongoose and a couple warthogs! We had one dinner here and it was only OK. We opted to eat "in town" for our other meals. I would stay here again. Rather disappointing but this is Zimbabwe and everything seems to be very tired and no maintenance/upgrades. Definitely, just a 3 star hotel, we think its overpriced but seems everything is around Victoria Falls. Rooms a large enough, happy to change rooms after being directly along a very noisy main road. A very poor stay. After being initially greeted warmly the service quickly went down hill. The toilet was broken when we arrived, and broke twice more during our stay. The Wifi was out of order for 2 of the 3 days. The bar staff were rude and inefficient, and we felt uncomfortable in public areas. The rooms are clean, and air con works well. Over priced for me. Quite pleasant. The room was clean and comfortable. 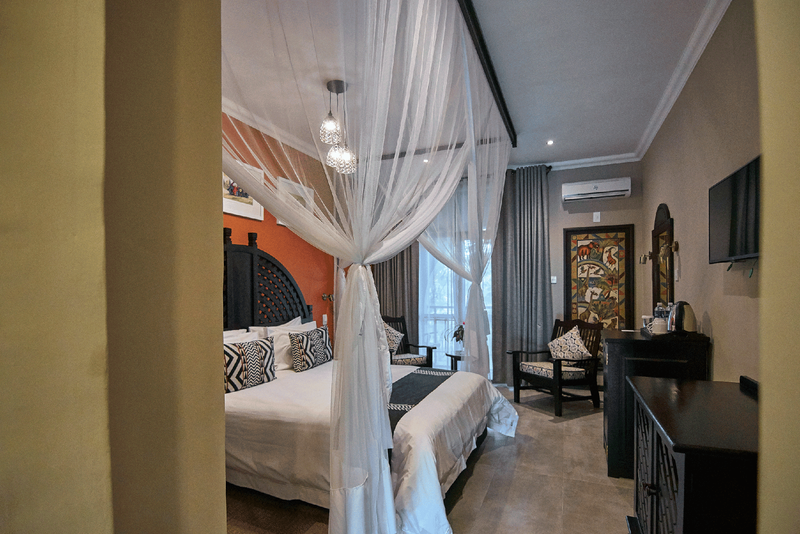 Staff was helpful and friendly.It was the cheapest pleasant hotel we could find in Victoria Falls, Zimbabwe. It was within walking distance to the Falls, tourist center and a very good new Thai restaurant. staff were great, comfortable room, and nice swim up bar. Stay was enjoyable. Easy walking distance to the falls and centre of town. The staff were great and the room was comfortable. For the price it was good value except for the buffet breakfast which was over priced for what was on offer. The hotel is fairly good but could be so much better with a little effort. The pool is very good but there is a serious shortage of chairs / loungers so not many people can use it. the sunken pool bar looks good but means there is nowhere to sit outside for a drink except in the "bar pit". We did have some issues while at the Rainbow. the staff are variable - from very pleasant and responsive to,in some cases not very useful at all. There is an African dance group who are fine but are VERY loud and appear to perform every night so if you want to talk between 7 and 9 you have almost to stay in your rooms! The thing to be aware of is the attempted rip-off on breakfasts. The restaurant staff tried to charge us 28 USD for an average b'fast (Dinner is only $15) but after a heated debate negotiated down to 15....not what you expect in a professional hotel.